Last week we reported that beneath the aura of excitement generated this year at SIGGRAPH 2015 by the prevalence of virtual reality, a number of compelling panels examined the nuts and bolts of creating VR experiences, including managing workflow and assets. Part 2 of our report on SIGGRAPH VR panels continues with coverage of the VR Village sessions Creating on the Edge and Convergences in Film and Games Technologies, featuring perspectives from professionals in production, post production, visual effects, gaming and journalism. Emblematic Group’s Nonny de la Pena, who develops Immersive Journalism VR experiences, responded to the question about the need for photorealism by saying that we are hardwired to accept representations of ourselves. We can accept abstract representations as long as the experience feels real. Jaunt Studios head Grant Anderson tackled some of the practical lessons of shooting VR. “Consider splitting the 360 degree camera shoot into two 180 degree shoots until we learn how to handle it better,” he suggested. This is one way to get around the need to find ways to hide the crew, such as making them costumed background players or hiding them behind rocks and trees. Anderson, who brings many years of experience as a 3D supervisor also pointed out that while a “close-up” is a “big-up” in 3D, it is an “in your face” in VR. Walt Disney Imagineering’s Mike Mine noted that Disney had to address the creative issues linked to a 360 degree viewing experience decades ago with Circle-Vision. They found that the audience felt like they had to look everywhere, which could feel like work to them. Workflow and asset management were themes at the Convergences in Film and Games Technologies panel. Bill Polson, director of Industry Strategy at Pixar, noted that there is now a sharing of production tools and techniques between games and film. But, he added, once you get to post production, the nomenclature changes. He is wrestling with the problem that asset creation and labeling is still a very one-off process. A coffee cup may be one object or a group of components. Asset management is based on the structure of the organization, and must be able to accommodate multiple representations of the same artistic creation, he said. 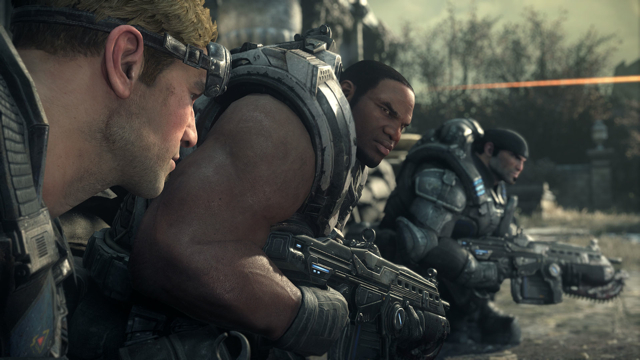 Colin Penty of The Coalition, the team at Microsoft Studios responsible for the blockbuster “Gears of War” franchise, pointed out that game engines must run complex systems that interact. That interaction can reveal story, so game engine design should be viewed as another creative VR storytelling tool. Today the metrics for CGI-rendered movies and rendered games are very different, Penty noted. A single frame in an animated movie may take over one hundred hours to render, but he measures render time for photorealistic games in milliseconds. In his closing comments, Pixar’s Polson said that VR is a chance to reinvent workflow. ILMxLAB’s Bredow said that in Hollywood, content is king. In gaming, fun is king. But in VR we are converging on a place where the story behind the fun is increasingly important. 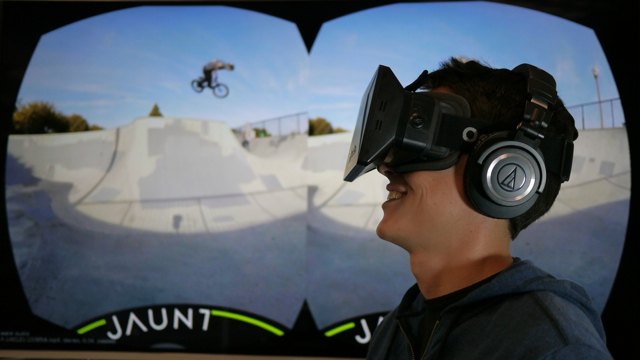 For more of our VR coverage from SIGGRAPH 2015, check out Part 1 of this story.